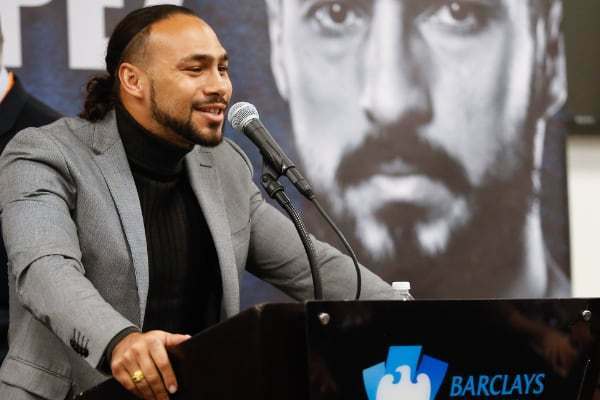 WBA welterweight champion Keith ‘One Time’ Thurman 29-0 (22) has called for a fight against Manny Pacquiao 61-7-2 (39) after his successful return to the ring on Saturday night when he decisioned Josesito Lopez 36-8 (19) in a tougher-than-expected outing at the Barclays Center in Brooklyn, New York. The 30-year-old Thurman was having his first fight back after almost two years on the sidelines as he recovered from surgery to his right elbow and a subsequent injury to his left hand, overcoming a mid-rounds rally from Lopez to claimed the victory by scores of 117-109, 115-111 and a surprisingly close 113-113. The 40-year-old Pacquiao retained his secondary WBA ‘regular’ welterweight title with a 12-round unanimous decision win over Adrien ‘The Problem’ Broner 33-4-1 (24) at the MGM Grand in Las Vegas, Nevada on January 19. Pacquiao was awarded the victory by scores of 116-112, 117-111 and 116-112. “Manny Pacquiao is not going to be here for the years to come. Just fighting a legend, I just feel like the clock is ticking,” Thurman said at his post-fight press conference. “Later this year, if that fight presents itself, I would definitely be open for negotiations and I would love an opportunity to fight a legend. It is a fight that the Filipino icon would potentially be interested in, according to Sean Gibbons of MP Promotions.